Shawn is a business banking relationship manager who joined Fifth Third Bank in December of 2017. 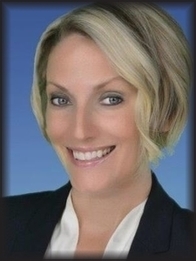 She has over 13 years of financial industry experience working with businesses across many industries. Most recently, she led a retail team focused on the needs of upper affluent and wealth clients. During her career she has served in both client facing and leadership roles and is passionate about helping her clients grow and exceed their goals. Her diverse background and years of experience gives her a great perspective and the unique ability to connect with her communities. Shawn is a graduate of the University of Phoenix and holds both her series 6 & 63 licenses. She has a strong passion for community involvement serving on boards such as Habitat for humanity, Council for Quality Growth, and Southern Crescent Children’s Advocacy Group. She lives in Atlanta with her three children.